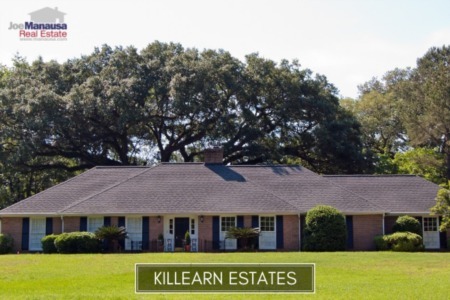 Home sales remain active in this popular NE Tallahassee golf course community, but there still are some great deals on homes for sale in Summerbrooke. Thus far in 2014, there have been 22 homes sold in Summerbrooke, which is about 25% fewer than what we saw through the same period last year, but still significantly higher than what occurred in 2011 and 2012. If you are thinking about buying an executive type home, Summerbrooke's average size of 2,800 square foot and below-market values just might be worth checking out. 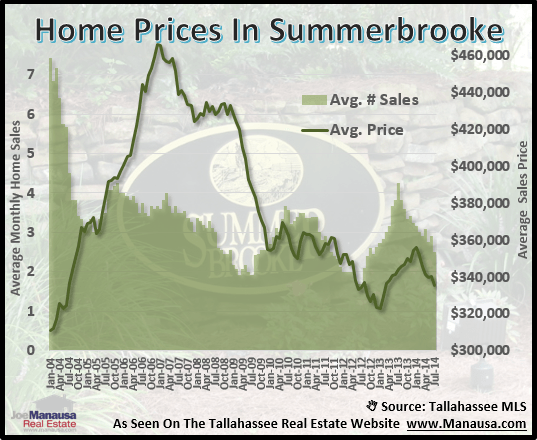 The average price of homes selling in Summerbrooke has been on the decline since of the beginning of the year, with the current trend running right around $333,000. In the real estate graph above, the one-year trend of monthly home sales is shown as green bars, measured on the left vertical axis. The one-year trend of average sale prices is plotted as a green line and measured on the right vertical axis. Currently, there are just below three houses selling each month at an average price of $333,000. The second graph shows the one-year trend of monthly home sales is shown as green bars, measured on the left vertical axis. The one-year trend of average sale values is plotted as a blue line and measured in price per square foot and recorded on the right vertical axis. Currently, the average home value is on the rise at $122 per square foot. So we see average home prices on the decline, but average home values on the rise. This is good news for people selling a home in Summerbrooke, it means they are getting more money for their home. Of course, it also shows a trend of buyers choosing the smaller homes, that is why prices are declining while values are rising. The following ten listings are the newest homes on the market in Summerbrooke. 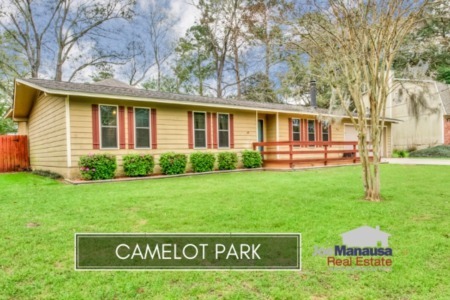 The following is a list of homes sold in Summerbrooke and recorded in the Tallahassee MLS. 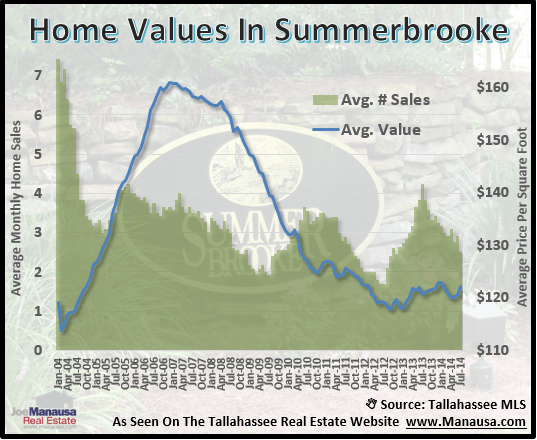 I hope you have enjoyed this updated home sales report for the Summerbrooke neighborhood in Tallahassee. You can return again in the future for updates on home sales and new listings.